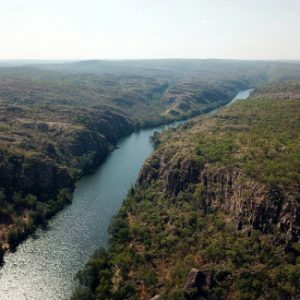 It’s an early start on this 1 day katherine gorge tour as we travel down ‘the Track’ (Stuart Highway), heading to the amazing Nitmiluk National Park and Katherine Gorge. 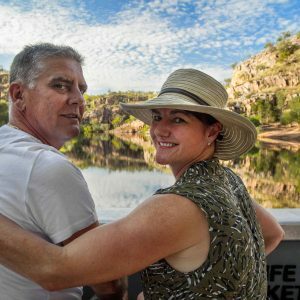 Your Driver Guide will keep you entertained along the way with stories about Australia’s longest highway and the history of the region. 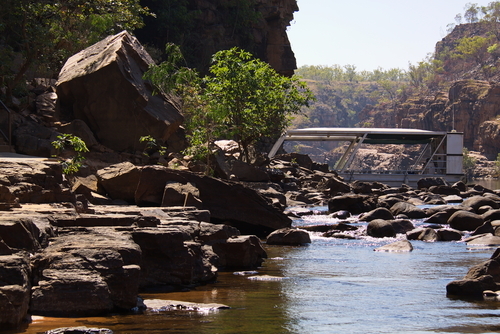 Continue to the Adelaide River War Memorial where you’ll have time to stroll around the memorial. Dedicated to the many men and women who lost their lives in the north of Australia during WWII, this is a beautiful memorial, surrounded by lush gardens and native plants. Afterwards, stop for morning tea (own expense). 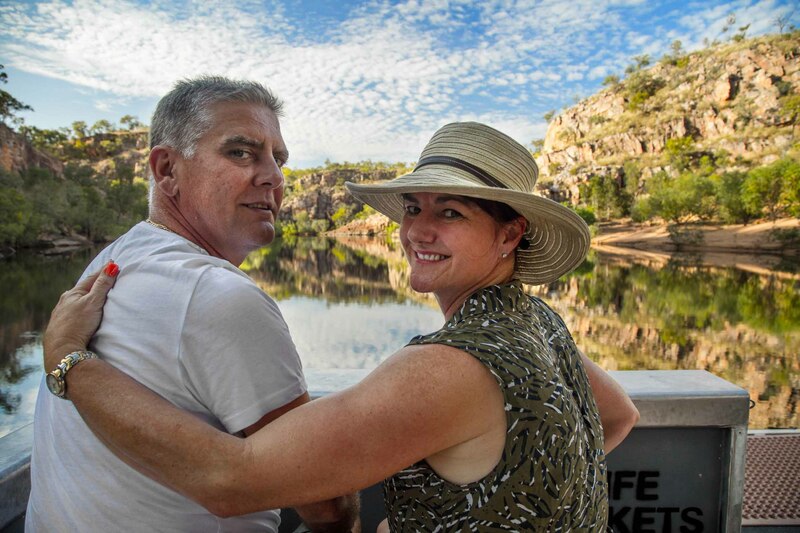 Now we head into the amazing Nitmiluk National Park. 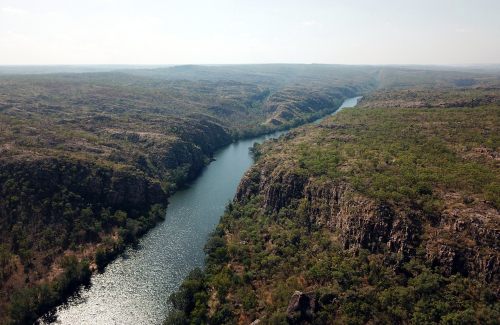 Previously known as Katherine Gorge National Park, this park spans more than 292,000 hectares. 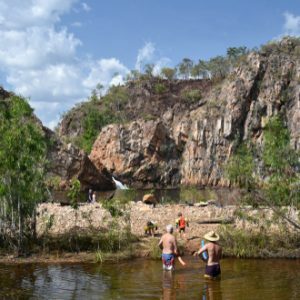 With rugged landscapes, thundering waterfalls and unlimited flora and fauna, Nitmiluk is a haven for adventurers and nature lovers alike. 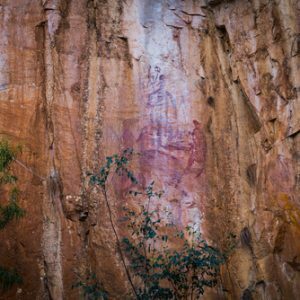 The name ‘Nitmiluk’, meaning ‘Cicada Place’, came from the Jawoyn people who are the traditional custodians of the park. 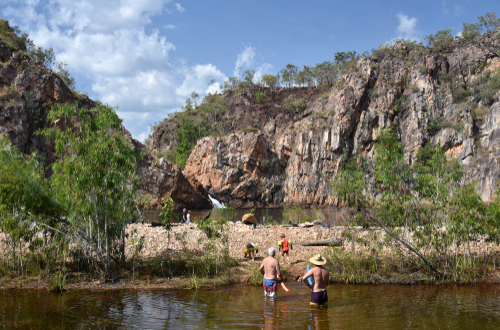 The landscape at Nitmiluk National Park changes dramatically through the wet and dry seasons, but whatever the time of year, Leliyn (Edith Falls) always has refreshing water to enjoy. 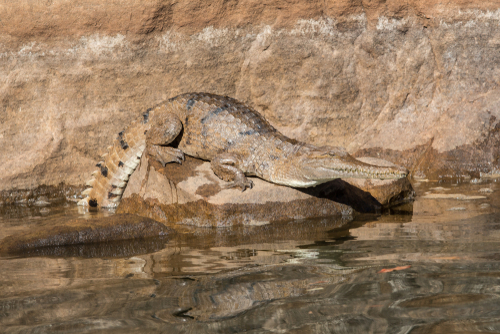 If the conditions are right, you can take a swim in the waterhole beneath the falls, among the paperbark and pandanus trees (seasonal). 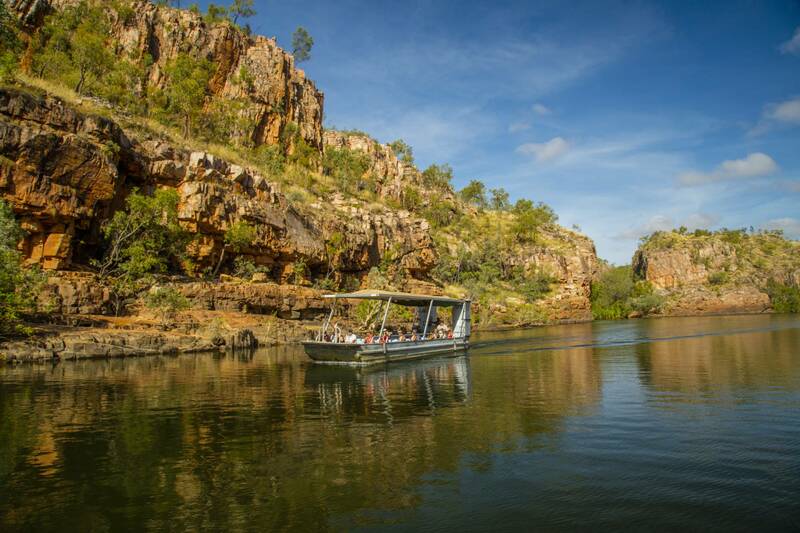 Lunch will be served in the lush and shaded outdoor setting of the Nitmiluk Visitor Centre. 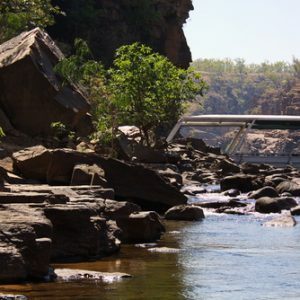 Take some time to browse through the Nitmiluk Visitor Centre. 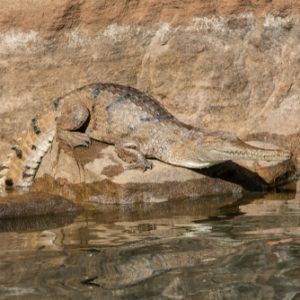 The Display Centre and Heritage Museum features large scale models illustrating the flora, fauna and rock formations of the Park. 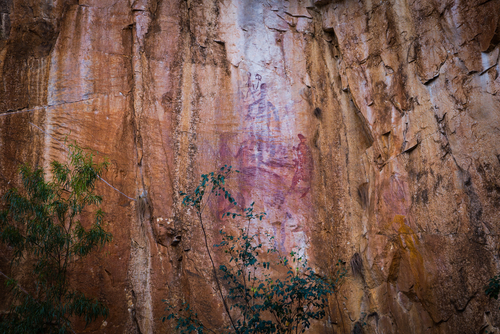 Photographs, memorabilia and traditional Aboriginal artefacts are also on display. If you’d like to purchase your own Nitmiluk memory, the Centre has a range of souvenirs and artefacts handmade by the Jawoyn people. 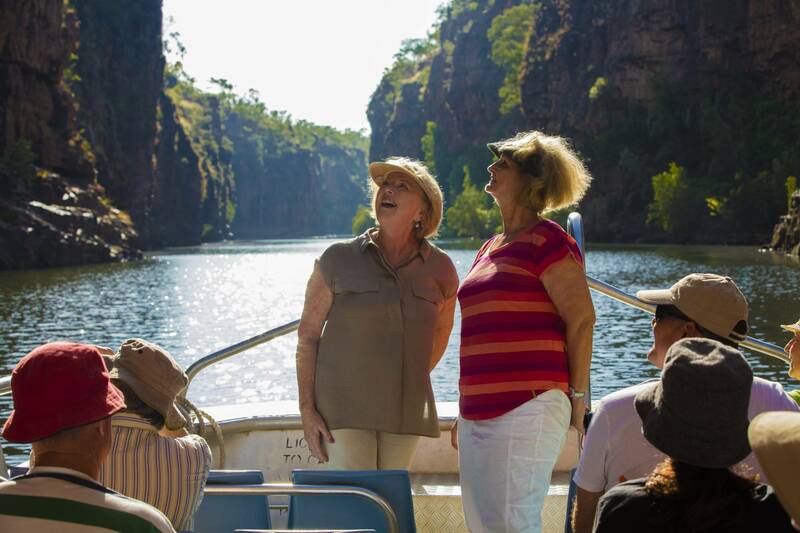 A key highlight of your 1 day Katherine Gorge Tour will be the Katherine Gorge cruise. 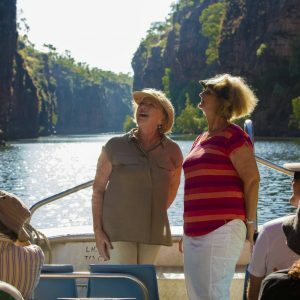 One of the most visited sites in Australia’s Top End, Katherine Gorge is a stunning network of thirteen gorges carved from billion year old sandstone that are home to many rapids and falls flowing from the Katherine River. 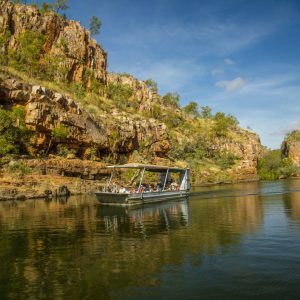 The two hour cruise will put you at the heart of Katherine Gorge among freshwater crocodiles, wonderful bird life and some of the most amazing scenery that the Northern Territory has to offer.